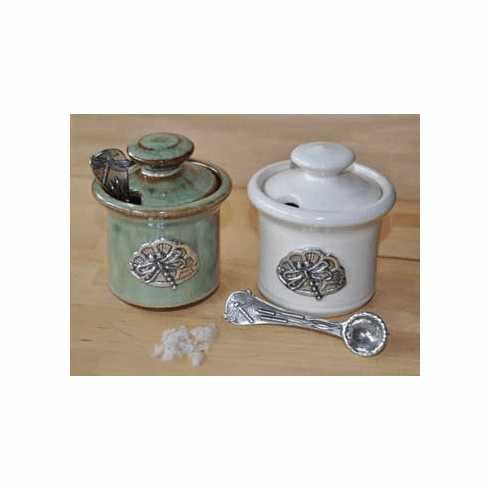 Dragonfly Ceramic Salt Cellar - Handmade in Oregon, each food safe glazed salt cellar is adorned with a pewter dragonfly medallion and comes with a 1/4 tsp. pewter dragonfly salt spoon that rests in the pot. Beautiful in the kitchen even when you aren't cooking! Measures 3-1/2" in height, holds 1/2 cup of salt, available in Cream color only.